Adding wood amongst tile and stone brings in a natural warmth that makes your space feel cozy and luxurious. 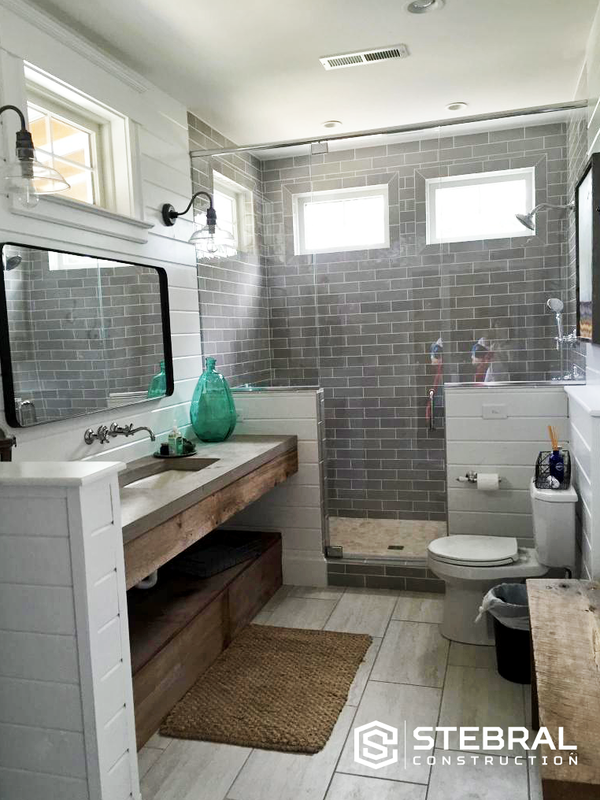 In previous years, wood was considered a no in any bathroom space so we love how 2016 has put our favorite material in a place where homeowners spend a lot of time and effort designing. Rain showers have been gaining popularity in past years, but having two of them just screams luxurious. Adding that extra shower head doesn’t clutter up your design, yet adds a very regal feel to your bathroom space. 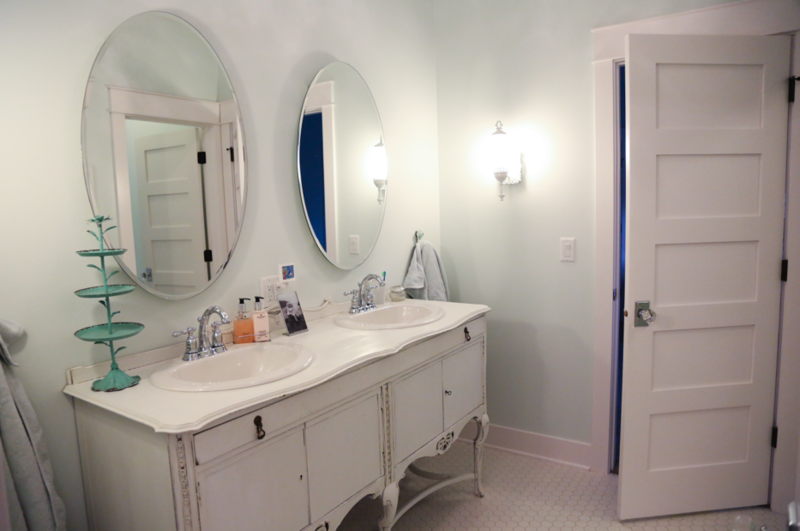 White bathrooms are in full swing this year. Creating a clean and contemporary look, whites are being paired with bold tiles to create more dynamic spaces. With the return of modernism in design, the next trend brings us back to a clean and practical look. Spacial planning has gained speed in 2016 and will continue into next year. Making sure there are places to hide your bathroom items is a must for a clean design so make sure you have a specific place for your hair dryer and lotions to keep your bathroom feeling luxurious and well planned. Industrial design has been rising in popularity in the home, but this year is making it’s way into the bathroom. Concrete style tiles and metal fixtures will be a new favorite in the coming year but remember that an industrial look can be cold and harsh, so that is where our first favorite comes in. Adding contrast like wood and plush bath mats can soften the look and add a bit of coziness to your space. 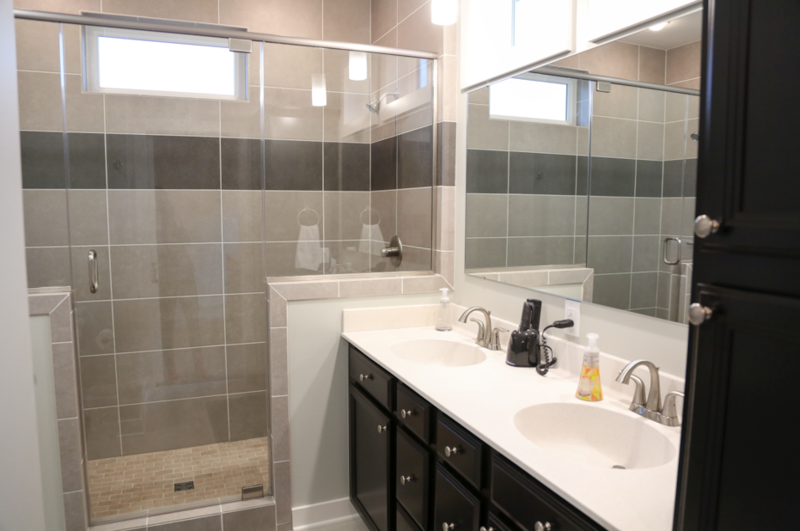 So there are our 5 favorites, if you are interested in a bathroom remodel or design, please let us at Stebral Construction in Iowa City know how we can help get you started. For this months blog, we teamed up with our friends at Primetime Painting to get you the scoop on painting your new construction home. There are a lot of articles out there about picking paint colors and the trends for the year, but more important to us as general contractors is the quality and longevity of your paint job. 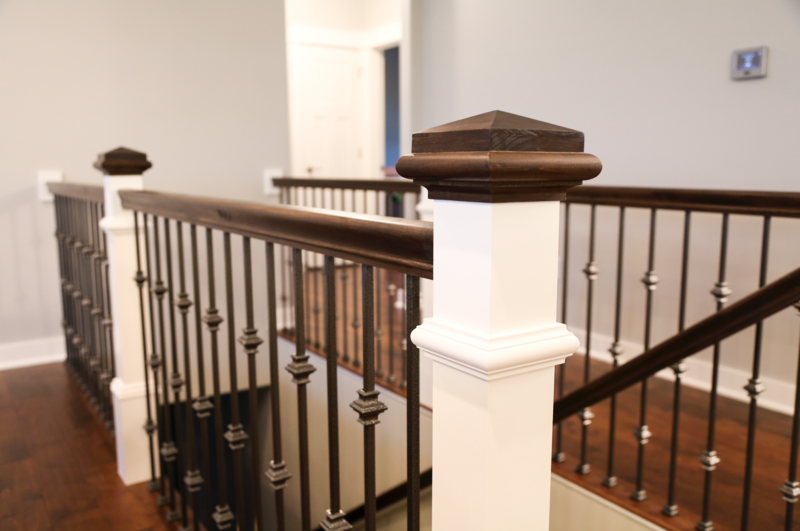 For this reason we are going to give you a quick run down of the difference between a standard paint job and a custom paint job on your home from Stebral Construction. Generally speaking, in a typical new build, contractors will come in with a flat paint and spray the entire house with one color; ceilings, walls and then the trim comes pre-finished. If you want it custom, they may come in with other colors on the walls, but most the time it is one kind of contractor grade flat paint. This type of paint job doesn’t tend to last the test of time. We come into many remodels that were painted this way and the paint job is spotty, marked up and in some cases pulling off the walls. For example, it is never suggest to paint a bathroom in flat paint because flat paint doesn’t offer protection from mold getting into the drywall. Even in main living areas flat is hard to maintain, so if you are in love with flat paint, you should always go with a higher grade paint that will hold up better to the abuse that children, pets and just living does to our walls. At Stebral Construction, we bring you a quality paint job unlike many other standard contractors. Our painters do custom work to the house and provide the professional finished quality that you would expect in a custom home. 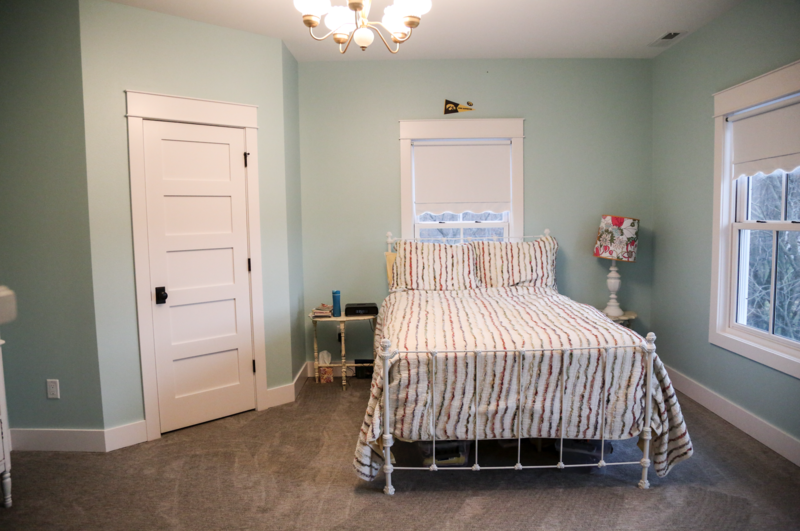 You have the freedom to select the paint and sheen that you like, but our painters can work with you to come up with a plan that fits into your lifestyle, whether that be kids, style or just experience. We suggest flat ceilings and an eggshell/satin (or higher gloss level) finish on the walls to protect allow durability. 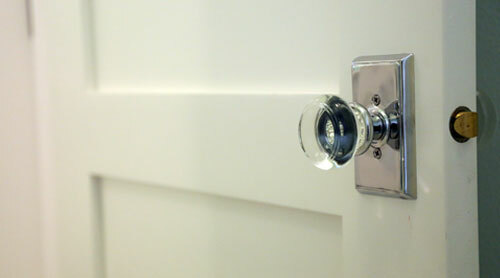 We also do many projects with painted trim that is prepped and finished after installation to provide a flawless look. 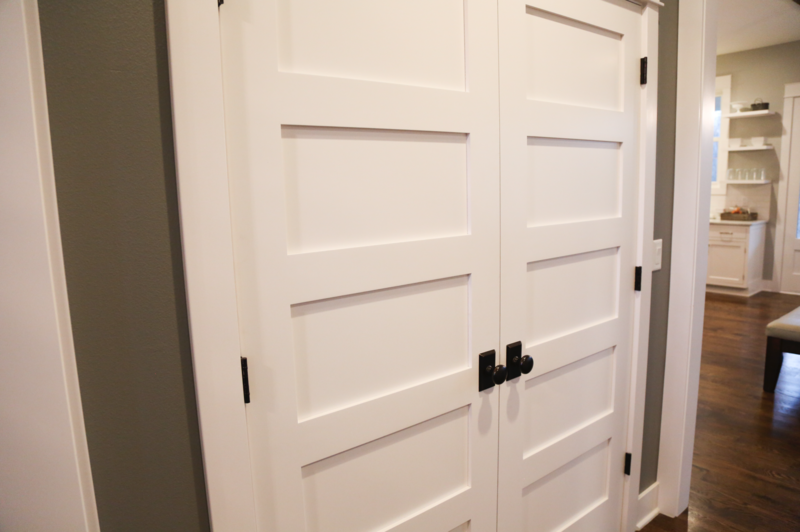 In addition to what we offer in painting, we also provide staining and custom wood finishing. There are many steps to the building process, but very few are seen as much as your paint job so it is essential that it looks professional. 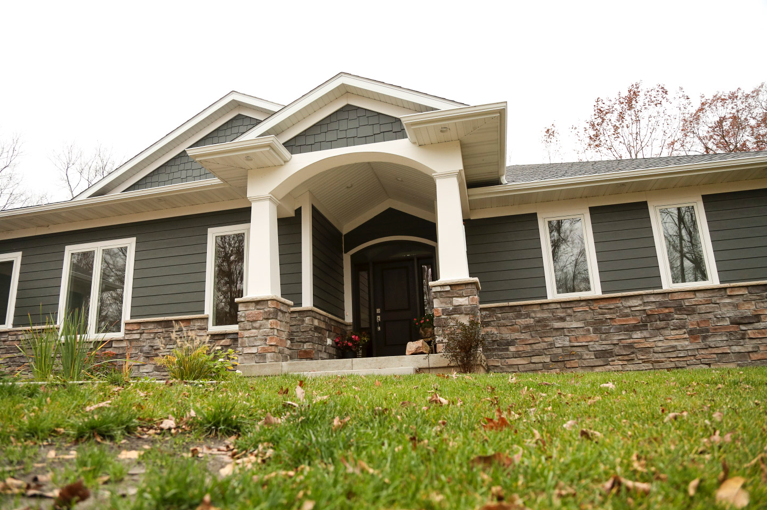 We are a custom home builder and that is why we provide custom painting as a part of our process. We are always here to answer any questions you have and give advice on how to best suit your needs. See our portfolio to see some of custom painting and staining projects. Painting is just one of the many things that sets us apart from other General Contractors in the Iowa City area so please call us today to get started on building your dream home the right way! The first thing on the list may be the most important. Knowledge is irreplaceable in the house building process. If something is done incorrectly, it could be catastrophic for you in the long run. A general contractor’s job is to know the industry inside and out. In our case, our staff provides much of the labor on the project, so we have direct professional experience in getting the job done correctly. For example, if you do not know if your foundation was poured correctly, how can you stop the house from being built on a faulty structure? We are here to make sure everything is done right, in a timely manner and how you would like it. We are also responsible for knowing building codes, appropriate materials, proper construction methods and safety. We need to know everything so you can rest easy. This one is a big reason most people hire a contractor. When you hire a general contractor they provide a license, insurance and worker’s compensation. If you act as the general contractor yourself, you assume liability for injuries and property damage. This is a big weight of your shoulders and allows for you to worry about the important things, like how the house will come together. 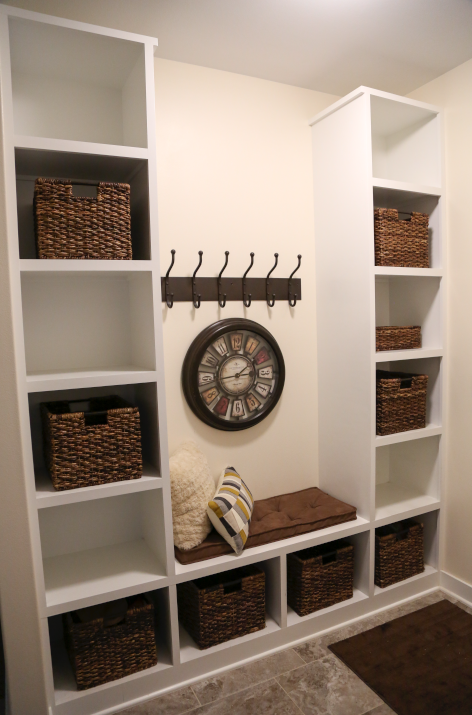 Lastly, being a general contractor takes a lot of time and effort. From the estimate process to cleaning the construction site, we are responsible for a lot of behind the scenes projects that people don’t even realize. If you take on the building process yourself, it can consume all of your free time and adds an unneeded stress to building. In addition to your time, we get better pricing on materials which in turn saves you money you spent by hiring a contractor. 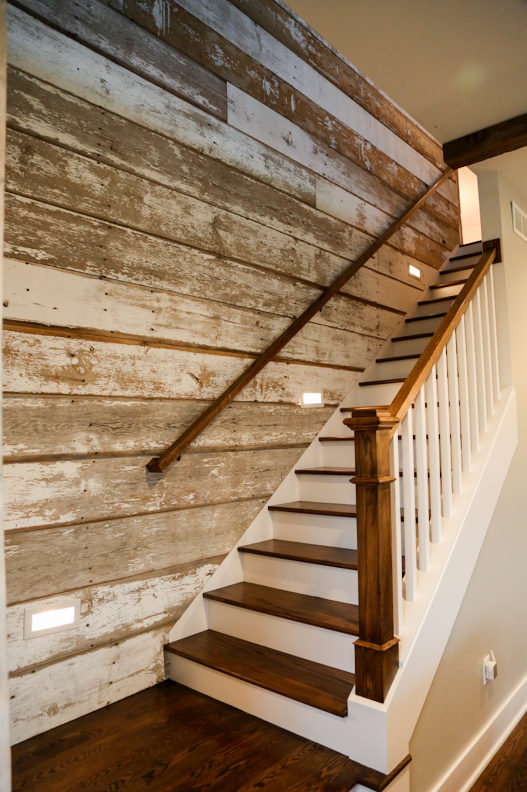 These are just a few of the reasons hiring a general contractor can benefit you! If you are looking to learn more about the house building process or have a renovation, please contact us today as we are happy to help. So you are thinking of building a new house, but you are wondering “where do I start”? With all the decisions to be made the process can be daunting, but don’t feel overwhelmed, we are here to help. You’ve heard from your friends and family that building a house is a lot of work, but if you surround yourself with a good team and come prepared, the building process will be much easier. To get you started, here are 5 things you should do before the building process can get moving. The first thing you need to do is set a budget for your custom home. In order to do that you must sit down and figure out what kind of home you can afford. What are you willing and able to spend to still maintain a healthy monetary lifestyle, yet be satisfied with the home you are building. It is important to stay realistic as you will also need to meet with a bank to determine the amount of money you qualify for in your home building process. The bank will assess your financials and evaluate how much money they will give you for your construction loan. Then you will be able to set a budget for the project and work to stay in line with that number. Once you are ready to move forward with your budget, next comes picking out a lot to build on. You may have an area in mind or a school district you would like to be in. Make sure to keep in mind the type of house you are dreaming of to make sure the land is suited to build what you want. Things like size of lot, location, what type of amenities you want to add (garage, pool, shop, garden) are important in deciding what land to build your home on. Put some thought into the style of house you want and the layout you prefer. Once the process gets going, if you want, you will be able to work with an architect or designer to fine tune your ideas, but it is good to start thinking about the design in advance. The more thought you put into the design, the happier you will be with the final product because things won’t spring up when the process is well thought out. It is important to do research on who you put in charge of your home. Just because a contractor is well known does not mean his process and final product are the best. Asking others is the best place to start to find out what kind of experiences they had and what they would have changed in the process. Ask your potential contractor for references or testimonials. Look at their portfolio and make sure you feel confident that this is who you want building your home. It is also important that you trust your contractor and can work well with them. If you do not mesh well with your General Contractor, it may make for a long and drawn out building process. Unless you plan on taking on the home building process yourself, your last task is to hire a contractor. Once you have researched and found a contractor you are sure will do a great job custom building your home, you are no longer alone. Your contractor should take the lead and walk you through the building process and begin to take the reigns in getting things moving. They will start by going over your budget and designs to get the best team assembled for the house you want to build. Working with a contractor means you are hiring a team of people that you feel comfortable with and you know you can trust. Those are our top 5 things to do when you start to plan building a house. John and Terry at Stebral Construction are always available to help with any other questions you may have about the home building process so please feel free to contact us and we can help get you moving towards the house of your dreams. 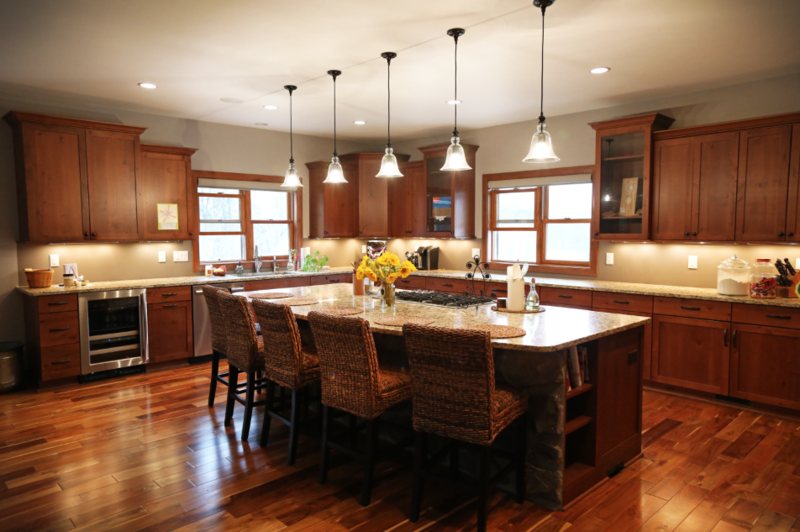 The National Association of Home Builders came out with 12 design trends for 2016 after the awards show at the NAHB Builder’s Show in Las Vegas. At Stebral Construction we make it a priority to stay up on the design trends so that we are able to offer you all the things you are wanting in your new home. We are excited about this year’s home building style because we are well versed in adding the custom touches that these trends require. Wood accents and outdoor living seem to be the mainstay and we are pros at both! 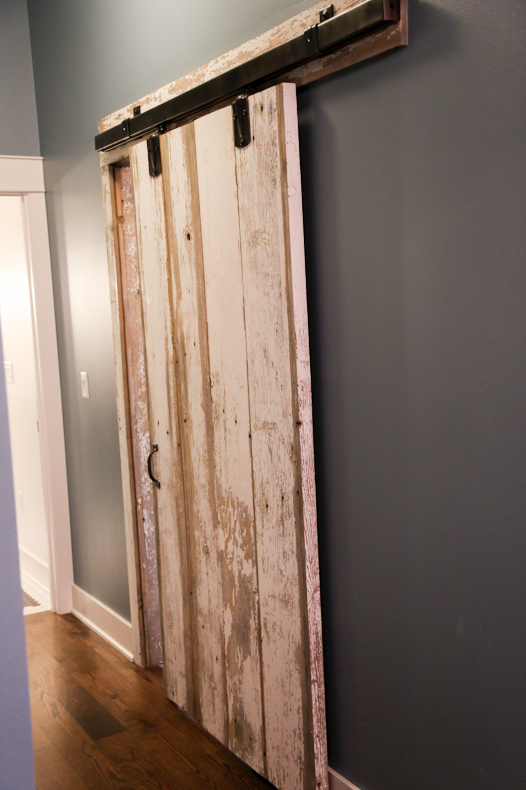 We build custom barn doors and offer all types of custom wood and reclaimed barn wood accents. 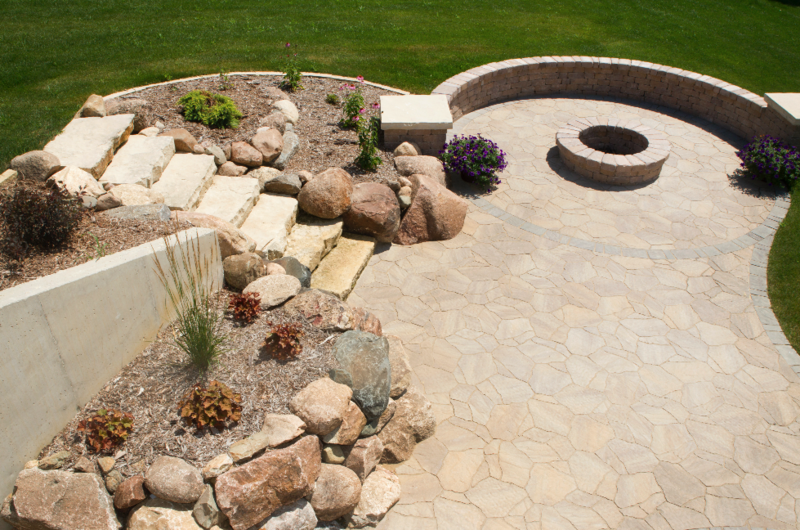 We also have years of experience designing outdoor living spaces to fit with any home. 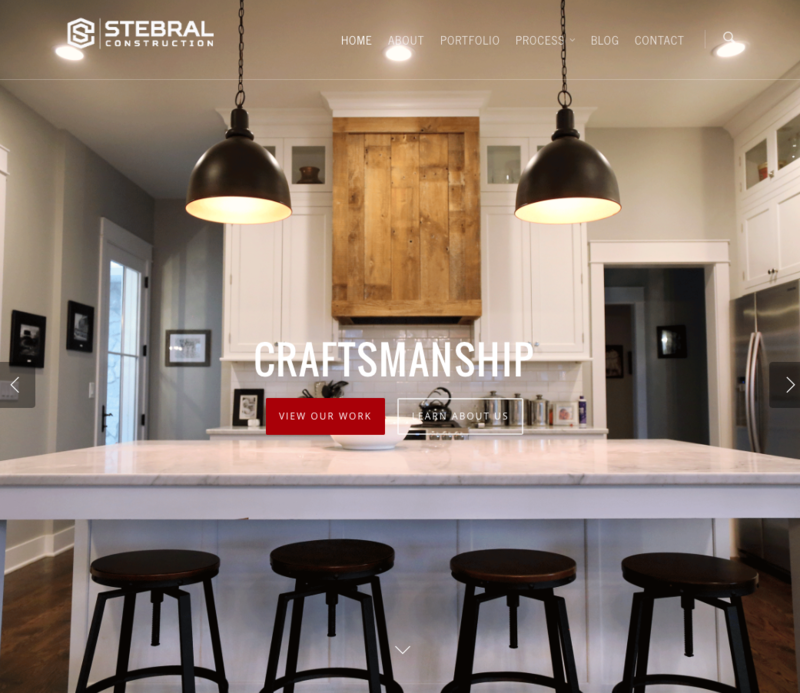 Welcome to Stebral Construction’s New Website! We thank you for taking the time to check out our brand new website! We have updated the site to give you more photos of our work and to let you get to know us a little better. Please feel free to message us with any feedback and please contact us if you have any questions at all about what we do! © 2019 Stebral Construction: Iowa City, Cedar Rapids and Eastern Iowa Custom Homes.